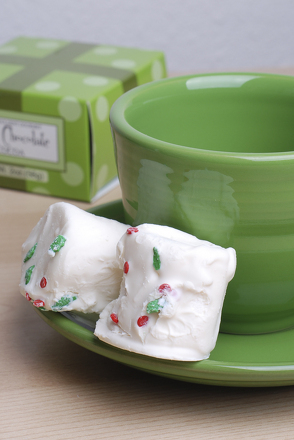 Transform your kitchen table into a winter wonderland with a cookie and cocoa party that looks freshly dusted with snow. Set the table in a snowy style by choosing a cream or silver tablecloth (paper and plastic ones can be found in the anniversary section of party stores). Using white napkins and plates will add a little pop against the tablecloth. Sprinkle the tabletop with snowflake confetti and you’re done with decorations. Also known as Russian Teacakes, many cultures have a similar version of this cookie because the combination of butter, powdered sugar and almond can’t be beat! Preheat oven to 325 degrees and line a cookie sheet with parchment paper. Use stand mixer fitted with a paddle attachment to cream the butter. Add the powdered sugar and salt and combine until light and fluffy. Add the almonds and vanilla until combined. Add the flour and mix until combined. Using a cookie scoop (or large tablespoon), shape the dough into 1-inch balls. Bake for 20 minutes, cool slightly, and roll cookies into the extra powdered sugar. Makes about two dozen cookies. This cookie makes for a great activity for the kids. Bake the cookies in the morning, and let the kids decorate them at the party. 3 cups flour, plus extra flour for dusting your work surface. Preheat the oven to 350 degrees. Line baking sheets with parchment paper and set aside. In a stand mixer fitted with the paddle attachment, cream the butter, sugar and vanilla until creamy in texture. Beat in the egg until well combined. Add the flour and mix on low speed, until the dough is well mixed, making sure not to over mix it. Shape the dough into 2-3 discs, cover with plastic wrap, and chill for at least one hour. Place the dough on a lightly-floured surface and use a rolling pin to roll out dough. Use a 3- or 4-inch snowflake shaped cookie cutter to make your shapes. Place on baking sheet and return to the refrigerator to chill for 20 minutes. Bake for 10 to 15 minutes, depending on the size of the cookies. Check the cookies half way through the baking time, and rotate your pans (from top to bottom and from back to front). Let cool on a wire rack. To decorate the cookies, premade royal icing can be found at most craft stores in the cake decorating section. After icing the cookie, use a white icing pen to outline the snowflake. You can find all sorts of toppings for the cookies, but white sanding sugar and edible silver dragées will make for particularly stunning snowflakes. Be sure to take the cookies out at the 10 minute mark, even if they look a little underdone. The cookies will continue to bake on the sheet for a few minutes once out of the oven. Preheat oven to 350 degrees and line three baking sheets with parchment paper. In a stand mixer fitted with a paddle attachment, cream together the sugars and softened butter until light and fluffy. Add the eggs and vanilla and mix until combined. Add the flour mixture to the dough and mix on low speed until incorporated. Remove bowl from the stand. Fold in the white chocolate chips and nuts with a rubber spatula. Cover with plastic wrap and chill for about 30 minutes. Using a cookie scoop, drop dough rounds 2 inches apart onto the baking sheet. Bake for ten minutes, rotating the baking sheets halfway into the baking time. Place baking sheets on cooling racks and cool completely. Makes about three dozen cookies. Place one cup cream and all the milk in a saucepan and heat on medium high until bubbles start to form around the edges of the saucepan. Remove from heat and whisk in the chocolate chips and vanilla until the chips have completely melted and the mixture is fully blended. In a stand mixer fitted with a whisk, beat the remaining cream for several minutes, until soft peaks begin to form. Add the sugar and beat until the cream is thick enough to dollop onto the hot chocolate. Top the white chocolate with the whipped cream and serve. Makes 4-6 servings. Give your child a lesson in proper manners, and have her print out and hand write adorable invites for her next tea party social! Plan a party the proper way, with a fun, printable invitation template! 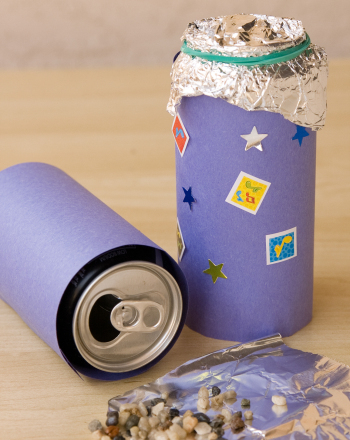 Your child will love creating a unique card for each guest. 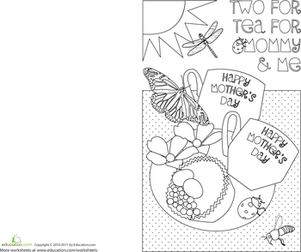 Brighten Mom's day with a special kid-made card filled with butterflies, dragonflies, ladybugs, and a tea party picnic set for two. Winter can be cold and snowy. 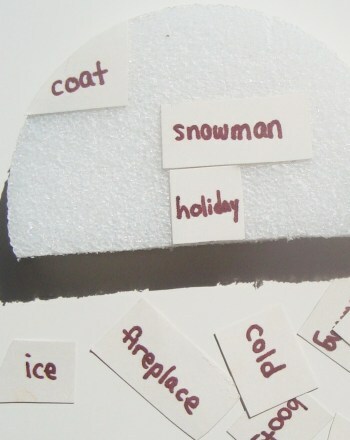 Can your child find the correctly spelled, winter related words? Who says a party can't be productive? 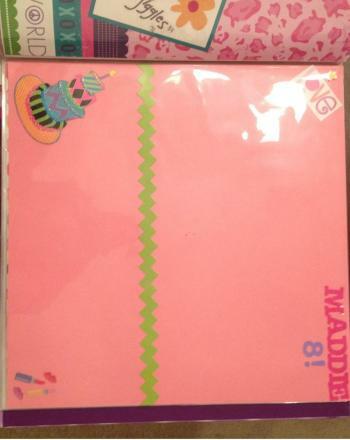 Next time your home is host to a hoard of giggling children, put those creative fingers to use with a party scrapbook! Prepare your child for winter with a fake igloo and a list of cozy and chilly vocabulary words. Use this surprise party-themed worksheet to have fun with present participle practise! This maths worksheet asks your students to help Malia calculate her leftover party food by using their subtraction skills.